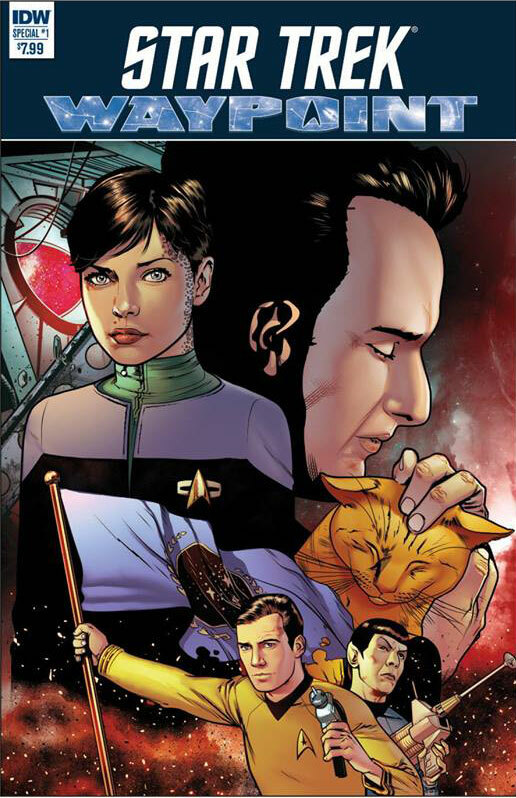 Three Star Trek comics will be available in November, including Star Trek: The Next Generation: Terra Incognita #5, Star Trek vs. Transformers #3, and Star Trek Waypoint Special #1. 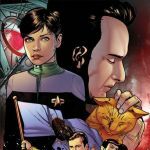 Star Trek: The Next Generation: Terra Incognita #5 comes “on the heels of the blockbuster Through The Mirror miniseries.” Terra Incognita #5 is a “brand-new Next Generation series, featuring untold tales of Captain Jean-Luc Picard and the crew of the U.S.S. Enterprise-D! Interstellar odd couple Worf and Beverly Crusher undertake a difficult mission, but can they overcome their differences to work together? Terra Incognita #5 is written by Scott and David Tipton, and features art by Angel Hernandez and Tony Shasteen, as well as a cover by Shasteen and J.K. Woodward. The thirty-two page issue will release on November 14, and will cost $3.99. In Star Trek vs. Transformers #3, “Klingons and Decepticons lay siege to a remote Federation dilithium mine-and the only thing holding them back is the shaky alliance of Captain Kirk and Optimus Prime. But what dark secret is buried beneath the ground… and can this uneasy partnership withstand the revelations? Written by John Barber and Mike Johnson, Star Trek vs. Transformers #3 features art by Philip Murphy and Gavin Fullerton, and a cover by Fullerton. The thirty-two page issue will cost $3.99 and will arrive November 21. Written by Dave Baker, Nicole Goux, Brandon Easton, Collin Kelly, Jackson Lanzig, and Matthew Dow Smith; Waypoint Special #1 features art by Goux, Josh Hood, Sonny Liew, and Smith. The cover will be drawn by Hood. Waypoint Special #1 will cost $7.99 and will arrive in shops on November 21.